The best eye makeup remover should easily remove all of your makeup and be free of ingredients that might irritate the sensitive skin around your eyes. We talked to makeup artists, a dermatologist, and a cosmetic chemist to get the skinny on ingredients. Then we took our final contenders and pitted them against the toughest waterproof products we could find to determine the most effective and the most convenient of the bunch. 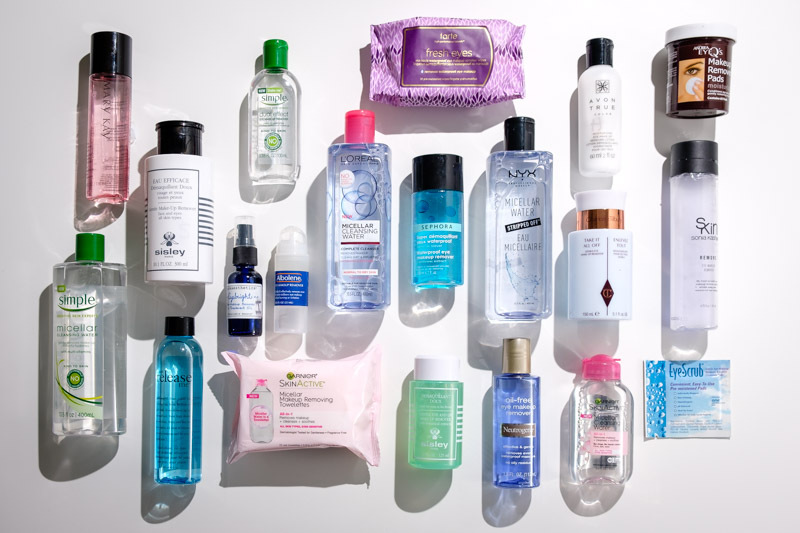 We started with a list of 121 eye makeup removers — a roundup of popular and widely available products from beauty retailers like Ulta, Sephora, and Total Beauty, plus lifestyle websites like Harper’s Bazaar and Cosmopolitan. From there, we wanted to find the products that removed makeup effectively without damaging the delicate skin around your eyes, so we dug into research about ingredients and nixed anything questionable. Andrea Scott, a skincare expert with 16 years of experience and co-founder of skoah, agrees, adding that even your lashes can be affected. “Alcohol can dry the delicate eye area and dry out the lashes and cause them to become brittle,” she explains. To protect the sensitive skin around the eyes, we eliminated any product containing simple alcohols. Although the FDA does not currently prohibit or restrict phenoxyethanol, both Japan and the European Union have classified this preservative as harmful for products around the mouth in concentrations over 1%. While this concern is mostly for cosmetics used near your lips, we were wary about putting it on our faces. We couldn’t verify the concentrations in our list of contenders, but we nixed any products that contained this preservative higher up on their ingredients lists — a sign of a higher concentration more likely to exceed the EU’s 1% recommendation. The European Union has also banned certain types of parabens (others are highly restricted) after a study suggested that they might be linked to cancer. The FDA and the Cosmetic Ingredient Review (CIR) Expert Panel say there isn’t enough evidence, but the industry seems to be moving away from parabens. We opted to err on the side of caution and cut any contenders containing the EU’s list of potentially harmful parabens. We rounded up a band of testers and purchased the hardest-to-remove eye makeup we could find on beauty websites. 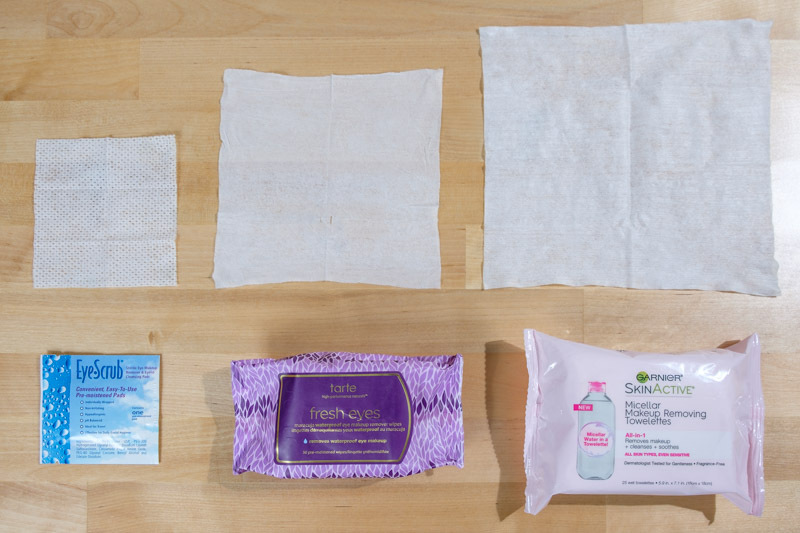 We wanted to find the products that removed makeup thoroughly and in the fewest wipes, but that still felt good on our skin. Overall, testers preferred liquid to cream or lotion options, as well as removers with little scent. They also noted when removers were easy to apply. The best eye makeup removers hit the mark in every category, ensuring safe and convenient removal. 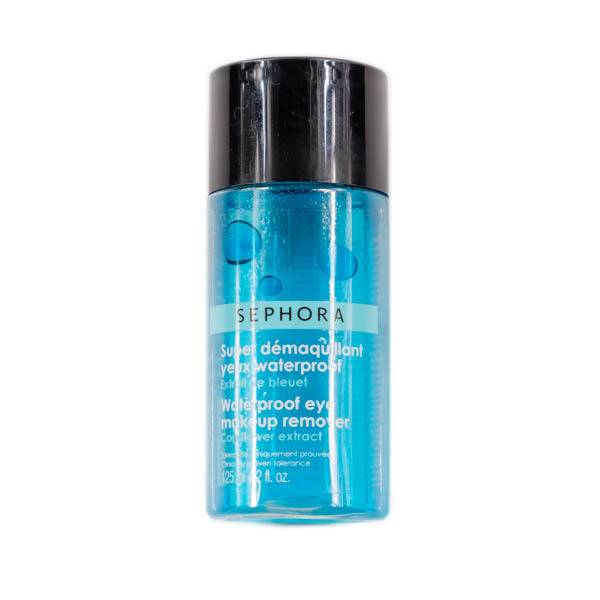 Effective even against waterproof eye makeup, with conditioning ingredients to soothe the skin. Sephora was one of the top performers against heavy-duty application, setting sprays and all. In one swipe, Sephora removed primer and concealer. With swipe two, up came most of the eyeliner and waterproof mascara. Less than five swipes removed all of the makeup. Mary Kay, by comparison, fared the same against primer and concealer but had a harder time with the mascara — and the eyeliner smeared. We tested our Sephora and Mary Kay finalists against the same set of makeup and recorded our results after one swipe, two swipes, and then enough passes to clean off the test areas. Compared to other products like the Bobbi Brown, which left behind flakes and pills of makeup, Sephora didn’t leave much of a mess. Although testers reported a slight oil residue, this dissipated quickly and didn’t feel heavy on their eyes. In addition to the oil residue Sephora left behind, two of our five testers mentioned a slight sting in the corners of their eyes that lingered a bit. Both of these testers have sensitive skin — if you’re in the same boat, you may be better off with our pick from Mary Kay. Not quite as powerful as Sephora, but its oil-free ingredient list makes it a good pick for sensitive skin. Mary Kay Oil-Free Eye Makeup Remover was a strong runner-up to Sephora in our tests, and it does its work without the use of oil. According to makeup artist Kimberley Bosso, an oil-free remover is a safer bet if you’re prone to skin issues: “Anyone sensitive to oil or who has oily skin that’s prone to breakouts should avoid oil-based,” she explains. This was reflected in our testers’ experience; those that had noted Sephora’s sting felt no irritation with Mary Kay. While Mary Kay struggled a little more against waterproof products compared to Sephora, it outperformed oil-heavy contenders like Avon Moisture Effective Eye Makeup Remover Lotion, which didn’t work well on mascara at all. Though the packaging is similar to Sephora’s, we liked that the tiny opening of Mary Kay offered more portion control. And when the bottle tipped over, it didn’t come spilling out. Even though Mary Kay is marketed as being oil-free, testers did comment on a slightly oily residue similar to Sephora’s. Waiting 30 seconds left our testers’ skin feeling soft, with very little shininess or tackiness, but it didn’t have the quick-dry effect of other products like bareMinerals. An easy option for removing lighter makeup. Tarte’s wipes were large enough to handle all our eye makeup without feeling too wasteful. The smell was admittedly fruity. With ingredients like maracuja (a fancy word for passion fruit), plus papaya extract and pineapple extract, it’s not hard to understand why. While our testers generally preferred odorless removers, they took exception to Tarte, describing it as luxurious and fresh. One tester reported that Tarte didn’t work at all on the waterproof eyeliner, and while we were able to get all of our everyday makeup off, we had to do a lot more rubbing. The skincare experts we spoke to repeatedly stressed that rubbing should be avoided when possible, so we feel that Tarte would be best as a backup option rather than part of a daily routine. Gently removes makeup without leaving an oily feeling. After swiping up our makeup, bareMinerals kept it up. “My makeup didn’t flake or pill at all,” one tester told us. The biggest downside to bareMinerals? 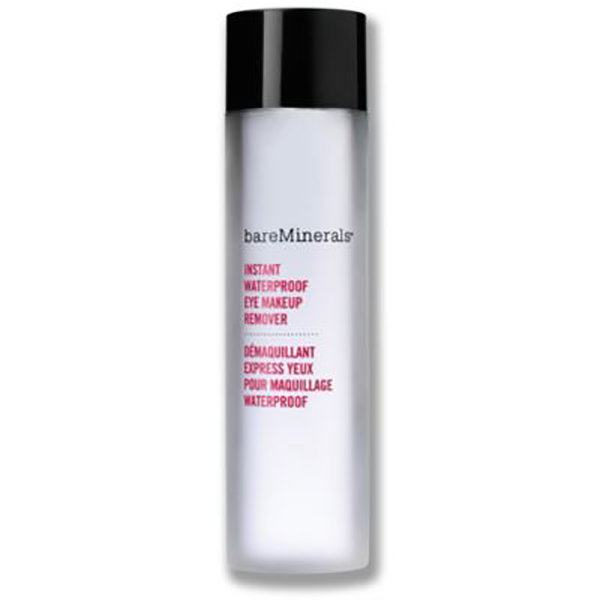 It required us to press and wipe more heavily, with one tester noting that removing all traces of her makeup “took some scrubbing.” For this reason, bareMinerals may be better suited to lighter, everyday makeup applications. Wipes away waterproof mascara and eyeliner in just a few gentle swipes. 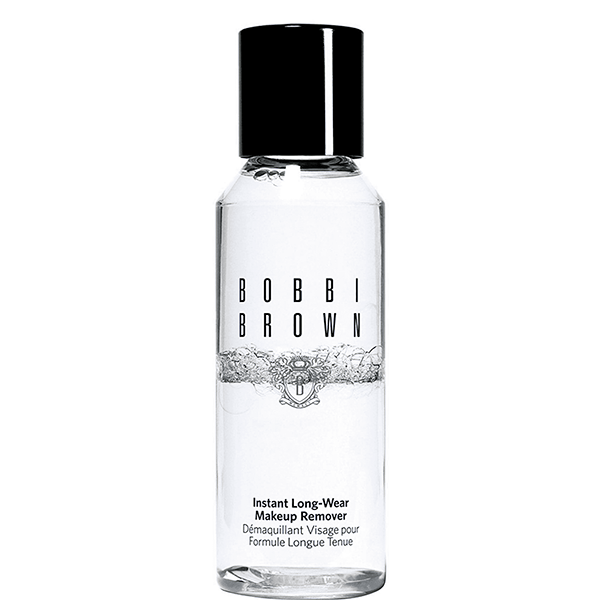 Because Bobbi Brown removes makeup quickly, you won’t have to scrub to get stubborn eyeliner off. If you regularly wear heavy makeup, this gentler application is essential for protecting the delicate skin around your eyes. Although Bobbi Brown removes eye makeup quickly, the loosened makeup tends to flake. We had to give two or three extra swipes with our cotton pads to catch all of the stray bits of dried mascara escaping toward our cheekbones; you’ll definitely need to wash your face after application. While experts recommend avoiding simple alcohols, not all alcohols are bad. Paula Begoun explains that there’s a difference between good alcohols and bad alcohols. Fatty acids, the good guys, can actually help moisturize. And according to Lee, a third type (aromatic alcohols) can be used as a preservative or as a component of fragrances or essential oils. Are oil-based makeup removers more effective than oil-free? What happens if I use an eye makeup remover with simple alcohols in it? What’s the best way to remove your eye makeup? According to Dr. Schlessinger, you should put the remover on a cotton pad, then press it onto your eye and soak for three minutes. Realistically, most people aren’t patient enough to wait that long. If you’re with us, a good rule of thumb is to soak for as long as it takes to loosen your makeup.